Do you own a crazy holiday sweater? Have a special talent too? 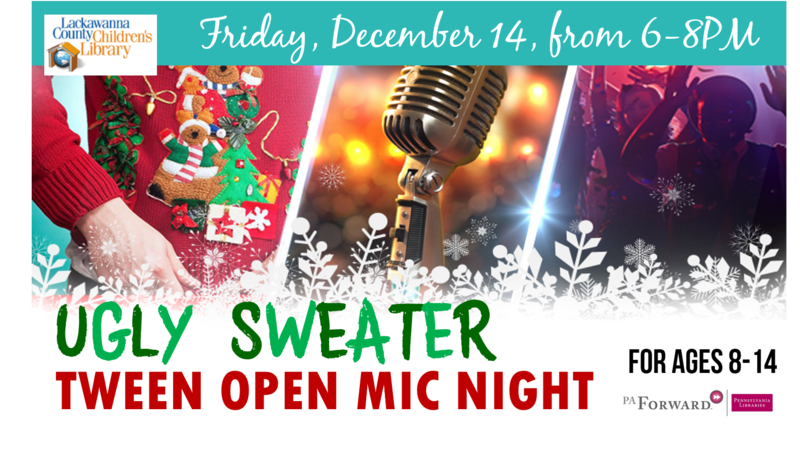 Wear your favorite ugly sweater and join our holiday edition open-mic night! Kids ages 8-14, of all levels and abilities, are welcome to perform. Invite your families and friends to come join in the audience!